Among the several dimensions of the Professional Track’s service offerings, Professional Track’s management recognizes the significance of prompt troubleshooting and preventive maintenance solution and providing full length maintenance in areas of generator maintenance, air-conditioner maintenance, electrical maintenance, office maintenance and complete power management of Telecom Towers etc. to the different Mobile Communication Service providers of Afghanistan. Professional Track has flair of in-house maintenance expertise and owns number of telecom towers in Afghanistan’s Telecom region. 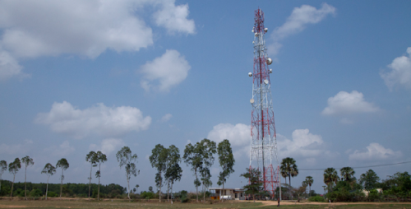 These tower sites are meticulously maintained on regular basis and same high quality maintenance services is also provided to prominent telecom players. Hence, by offering advance and ever-growing maintenance services, PT provides an opportunity to wireless carriers to devote their human and capital resources for development and management of their core business. The entire method of equipment maintenance solution covers almost all areas of service like troubleshooting, inspection, correction and regular follow-ups of Generators, UPS and Air-Conditioners along with auxiliary items. Professional Track makes certain smooth supply to all pre-requisites to build a pleasing environment for cell towers sites, from electrical and civil to general maintenance. The service range includes false ceiling, leakage or seepage control, fire alarm systems, general maintenance and complete electrical maintenance service, fascia/signage maintenance of the Tower Sites.